Trying to make sense of things in the talks between the Holy See and the Priestly Fraternity of Saint Pius X (FSSPX / SSPX), and of what may happen in the near future? 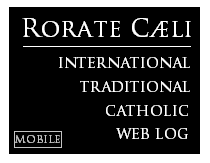 And also of various matters related to the Traditional Roman Liturgy ("Extraordinary Form of the Roman Rite")? Monsignor, you have participated in the dialogue with the Priestly Society of Saint Pius X. What is your personal impression of these meetings? Where do we stand right now? Do you believe we will soon reach a reconciliation? My impression is substantially positive as far as the cordiality with which the dialogue, the colloquy, developed, and I must say that it has always been a very frank and sincere dialogue, and at times lively, as is also understandable, given the problematic questions and the themes under discussion. Although certainly not conclusive, I think we have reached a decisive point on this path, which has largely and profoundly served to clarify in detail the respective positions of the Society of St. Pius X and those of the experts of the Congregation for the Doctrine of the Faith; what is needed now is precisely to move on to a more evaluative stage, to a level of evaluating controversial points in order to verify the concrete possibility of overcoming the doctrinal difficulties and issues that have been addressed. Is there a modus procedendi, a way of moving ahead in case the doctrinal Preamble is not signed? At this time the text of the doctrinal Preamble has been handed to Bishop Fellay and the superiors of the Society for them to examine and give an answer, which we hope will be substantially favorable, positive and affirmative. They always have the possibility of asking for some specific details or clarifications, which, for our part, we will certainly provide within a reasonable time frame. To me it seems misplaced to raise the question now of what will happen if such difficulties were to be considered serious, insurmountable. At this time there is no such problem. The Society was not born out of thin air, but as a response to a very serious ecclesial crisis, especially in countries like Germany, France and Switzerland. This crisis continues. Do you believe that after an agreement is reached in Rome, the Society will be able to coexist in those countries under the umbrella of the institutional Church? Well, I would say simply that those who are truly and fully Catholic can live fully and properly in the Catholic Church wherever the Catholic Church exists and develops. This is not just a statement of principle; it is an existential affirmation which corresponds to the reality of the Catholic Church. This of course does not mean that there are no difficulties, and also because of the critical situation in which many Catholics, and the Catholic world, find themselves in these and other countries, but I do not believe history has lacked similar cases, and therefore the answer is very simple: those who are truly and fully Catholic not only have a right to, but actually do live well and find themselves content within the Catholic Church. What are the reasons for the hostility in many Church circles toward a liturgy that the Church and so many saints have celebrated for so long and was instrumental in a spectacular development of the Church? This is a complex question because I think there are many factors involved in understanding why this prejudice against the extraordinary form of the liturgy of the Old Rite is still widespread. One needs to keep in mind that for many years now a really appropriate and comprehensive liturgical formation in the Catholic Church has not been offered. Some have tried to introduce the principle of a rupture, a distancing, a radical break between the liturgical reform proposed, established and promulgated by Pope Paul VI and the traditional liturgy. In reality things are different, because it is clear that there is substantial continuity in the liturgy and in the history of the liturgy; what you find is growth, progress, renewal, but not a break or discontinuity, and hence these prejudices decisively affect the mindset of various people, including clergy and the faithful. We must overcome this prejudice, we must provide a complete and authentic liturgical formation and see how, in actual fact, the liturgical books of the liturgical reform desired by Pope Paul VI are one thing; something else, however, are the other forms of implementation that have occurred in practice in many parts of the Catholic world which are, in reality, abuses of the liturgical reform of Paul VI and also contain doctrinal errors that must be corrected and rejected. This is what the Holy Father Benedict XVI, in a recent speech at the Pontificium Athenaeum Anselmianum in late spring of this year, sought to reaffirm. The books of the liturgical reform are one thing, something else, however, are the concrete forms of implementation which, unfortunately, have spread to many places and are not consistent with the principles laid down and made explicit in the Second Vatican Council’s Constitution on divine liturgy, Sacrosanctum Concilium. The confidential Preamble was given to Bishop Fellay on September 14. One day later, Andrea Tornielli had already been informed. How come confidential Vatican information is passed on so quickly to the press? Journalists have a remarkable ability to intercept news, which is rather admirable in one respect, but I would say that in this case journalists, not just Tornielli but also other journalists, took up substantially the press release of the following day, reporting on some essential elements of the Doctrinal Preamble, and so I would say the substantial contents of the Preamble in its details are still not known, or at least have not been made public thus far; and journalists have not spoken about them or described the development and elaboration of the Doctrinal Preamble in detail. In that sense I believe confidentiality has basically been maintained in this case. I hope that this will continue to be the case. Did you have any personal experience with the Latin Mass before becoming part of Ecclesia Dei? How did you experience the liturgical changes in the sixties? These are two questions. To the first I answer that, before the motu proprioSummorum Pontificum of 2007, I had no contact at all with the celebration of the Mass in the old rite; I began to celebrate Mass in the extraordinary form of the rite with the motu proprio Summorum Pontificum, which allowed the Mass to be celebrated in this form.How have I lived the changes in the sixties and seventies? I must say that, according to the manner in which I was formed and trained by my teachers at the seminary, and especially my professors of theology at the Pontifical Gregorian University, I have always tried to understand what the Magisterium proposed through the reading of its texts and not through what some Catholic theologians or publications attributed to the Magisterium. So I never had any problems accepting the Mass in the liturgical reform of Paul VI, but soon realized that because of the great disorder that had been introduced into the Church after 1968, very often the Mass of Paul VI became completely deformed and came to be celebrated in a manner absolutely contrary to the profound intentions of the legislator, that is, the Holy Father; so I also have experienced quite directly this disorder, this collapse of the liturgy of which the former Cardinal Ratzinger has spoken in some of his books and publications on the liturgy, and I have always sought to keep the two things separate: the rites, the texts of the missal, whichare one thing; another thing however is the way in which the liturgy is or has been celebrated in many places and circumstances based especially on a principle of creativity, a wild creativity that has nothing to do with the Holy Spirit and is instead, I would say, exactly the opposite of what the Holy Spirit wants. Why is it worthwhile to promote the Latin Mass? Because the ancient rite of the Mass makes explicit and highlights certain values and certain fundamental aspects of the liturgy that deserve to be maintained, and I am not speaking only about the Latin or Gregorian chant, I am speaking about the sense of mystery, of the sacred, the sense of the Mass as a sacrifice, the real and substantial presence of Christ in the Eucharist and the fact that there are great moments of interior recollection, interior participation in the divine liturgy. All these are fundamental elements which are particularly highlighted in the ancient rite of the Mass. I am not saying that these elements do not exist in the Mass of Paul VI's reform, but I am saying that they are highlighted much more and this can enrich even those who celebrate or participate in the ordinary form of the Mass. Nothing prevents one from thinking that in the future we will also be able to achieve a reunification of the two forms, with elements that come together and complement one another; but this is not a goal to be attained in a short time, and particularly not with decisions taken at a desk, but one which requires a maturation of the entire Christian people called to understand the value of both liturgical forms of the same Roman Rite. This interview was conducted on September 17, but it was made public only this Monday. Thanks to Gloria TV for their great work. My problem with what Mgr Pozzo said concerning the new mass is that he still seems to think that the new mass however well celebrated it might be, is not a rupture in tradition. I admire his honesty in recognising that there is a liturgical crisis, yet he still seems to defend the mass which is theologically inferior to the mass of ages. I find that a hard cake to eat. I thought this was an excellent interview. Without compromising confidentiality, Mons. Pozzo really does give as much info as possible on the main issues: the doctrinal talks, the Preamble process, journalists, the aims and the means (reform of the reform of the Ordinary form per Sacrosanctum Concilium) of the pope's liturgical reform. Defense of the Novus Ordo. Tired. Old. It always was banal. It brought hordes into the sanctuary right from the start, gave them voice in mass, and freely empowered dissidents. In striking contrast, the TLM didn't have these problems, and even now liturgical dissidents tell us they couldn't succeed in their revolutionary designs under the many safeguards of the TLM. There is something wrong in the design of the Novus Ordo for it to have the long and consistently destructive history that it does. When will good priests at least recognize that something is fundamentally wrong with that mass, even if they can't bring themselves to identify it? Stuck on stupid. Just get rid of it. Nothing prevents one from thinking that in the future we will also be able to achieve a reunification of the two forms, with elements that come together and complement one another; but this is not a goal to be attained in a short time, and particularly not with decisions taken at a desk, but one which requires a maturation of the entire Christian people called to understand the value of both liturgical forms of the same Roman Rite. Thesis-antithesis-synthesis. Anyone out there agree? It's obvious to me that there is afoot an attempt to make traditional Mass defenders into novus ordo-ites. What about the thought that any changes to the Liturgy must grow organically from the previous form? Can anyone say with all honesty that changes to the canon and words of consecration in the Missal of 1969 and follow-on editions are examples or organic growth? IMO the future does not look good, my friends. 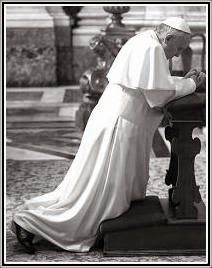 Look, Doctrinal Preamble aside, the Pope could today designate the FSSPX as a worldwide apostolic administration encompassing all traditional orders, under his direct supervision, with the specfic charism or mission of protecting and conserving in perpetuity the integrity of the missal of 1962 and previous editions and the Faith that those missals signify . He could say that the bishops of the Fraternity are specifically charged with recommending candidates from within the Fraternity or other traditional orders for future consecrations of bishops, as necessary, to lead the AA. Is this a church within a church? Well, yes, but in all honesty it is IMO the only way that Tradition can be honored, protected and served in this pluralistic society that we live in. Very interesting. He made the quite honest admission that for many years proper liturgical formation has not been taught. There is no faster way to destroy the faith than to put clueless leaders in charge. They are the blind leading the blind into perdition. He disagrees with Cardinal Ratzinger's assessment of the NO as a banal, on-the-spot fabrication? My own senses tell me that even with a reverently celebrated NO such as was celebrated by the late Fr. Hardon, the NO still is very much akin to the Protestant Lutheran service. I think Rome has to save face and thus the blame for the destruction of the liturgy is being placed on the mute and lifeless beast named "Principle of Creativity", rather than on post-conciliar papacy where authority reigns. That should be "mute and defenseless" not "mute and lifeless". "I began to celebrate Mass in the extraordinary form of the rite with the motu proprio Summorum Pontificum, which allowed the Mass to be celebrated in this form"
I was under the impression that the TLM was never abrogated and therefore any Catholic priest at any time was allowed to offer it, before or after SP. Thank you Msgr. Guido Pozzo for offering the traditional Latin Mass since 2007. Bringing back the SSPX into the Catholic Church would be a wonderful achievement. The forma extraordinaria is already making real progress, but we are a small minority. "Why is it worthwhile to promote the Latin Mass? Because the ancient rite of the Mass makes explicit and highlights certain values and certain fundamental aspects of the liturgy that deserve to be maintained, and I am not speaking only about the Latin or Gregorian chant, I am speaking about the sense of mystery, of the sacred, the sense of the Mass as a sacrifice, the real and substantial presence of Christ in the Eucharist and the fact that there are great moments of interior recollection, interior participation in the divine liturgy." Very nicely said! And from a prelate that has only been offering the EF Sacrifice for a bit over four years! The correlation between emphasizing the Sacrificial aspect of Holy Mass (which the EF does) and the belief in the True Presence is undeniable. Likewise, the correlation between emphasizing the community meal ("communal") aspect of Mass--with all the commensurate hand-holding, peace offerings, etc.--which the New Mass emphasizes, leads to Heresy; e.g. an almost total disbelief in the True Presence. This is why I think the FSSPX Apostolate is sanctioned and supported by the Holy Spirit. Without them, there would be no Summorum Pontificum. What a wonderful interview! Thank you for posting it. "...which has largely and profoundly served to clarify in detail the respective positions of the Society of St. Pius X and those of the experts of the Congregation for the Doctrine of the Faith"? Yes, Msgr. Pozzo basically said that only Novus Ordo masses that contain abuses contain doctrinal errors. He must not have read the Ottaviani Intervention. "At this time the text of the doctrinal Preamble has been handed to Bishop Fellay and the superiors of the Society for them to examine...They always have the possibility of asking for some specific details or clarifications, which, for our part, we will certainly provide within a reasonable time frame." The "clarification" game will continue for a time. I believe that centuries ago, Pope St. Hormisdas ended the Acacian Schism by having separated Eastern bishops recite and sign a Creed (The Formula of Hormisdas. Father Feeney was rejoined to the Church by the simple of act of having recited the Athanasian Creed. The Society's bishops are not excommunicated from the Church. Why cannot the Rome-SSPX situation find resolution via the above-mentioned routes? Let us end today the ridiculous and drawn-out situation that exists between Rome and the Society. Yes, I agree with you. There does seem to be a move in the direction of a congealment of the two rites. Others in the Catholic world have also noted this danger. This constant Roman striving to make a silk purse out of a novus ordo sow's ear is quite disgusting. Yes, a reunification of the 2 forms is what the Second Vatican Council requested and did not get. Instead, it got an alien creation. The only way forward for the Church is through the reform of the ordinary form to that which was requested (i.e. S.C form), alongside of which, the TLM will continue to live. Italian is modern Latin. No? In my simple understanding of what came out of Vatican II was that many people (clergy and laity) ran with what they wanted to hear, not what was necessarily said. Instead of the Church helping to shape society, just the opposite has happened. "Because the ancient rite of the Mass makes explicit and highlights certain values and certain fundamental aspects of the liturgy that deserve to be maintained. . ."
Why have we all become so insanely confident in our ability to judge, prune, and discard all that came before us? Tradition can not survive this attitude for long. The question this interview raises is; what is the point of insistently pushing the party line on the Novus Ordo in the context of a discussion of reconciliation with the SSPX, who (rightly) reject this party line? It would have been quite possible to talk about the legitimacy (whatever that means) of the Novus Ordo, or its validity (which no-one disputes), if the subject had to be mentioned at all. This seems to reflect some incoherence or weakness, or lack of understanding, in the approach of Msgr. Pozzo. Is it meant to assure opponents of reconciliation with the SSPX that such reconciliation does not mean raising any questions about the Novus Ordo? But that goal is ridiculous and impossible. The SSPX will never accept reconciliation if it means having to accept the goodness of the Novus Ordo. So making a deal with them cannot be anything else but an implicit acceptance that criticism of the Novus Ordo is reasonable. "The only way forward for the Church is through the reform of the ordinary form to that which was requested (i.e. S.C form), alongside of which, the TLM will continue to live." The Novus Ordo Mass is not in line with the Council's liturgical reforms? Popes Paul VI and John Paul II (Venerable)insisted that the Novus Otdo was in perfect line with the Council's reforms. Thesis-antithesis-synthesis. Anyone out there agree? "Why have we all become so insanely confident in our ability to judge, prune, and discard all that came before us?" "Because the ancient rite of the Mass makes explicit and highlights certain values and certain fundamental aspects of the liturgy that deserve to be maintained...fundamental elements which are particularly highlighted in the ancient rite of the Mass. "I am not saying that these elements do not exist in the Mass of Paul VI's reform, but I am saying that they are highlighted much more and this can enrich even those who celebrate or participate in the ordinary form of the Mass." During the Indult Mass days (and even today), many Traditional Catholics were petrified to espouse that which Monsignor Pozzo stated above. That is how far we've come in recent years in regard to the TLM. Sounds to me like his proposal for a hybrid Mass. No thanks! dcs: "Speak for yourself" is sound advice on virtually all occasions. On the present occasion, your "no" presumptuously and inaccurately dismisses the view of those, myself included, who think that Mr. Haley's three-word formula hits the Hegelian nail squarely on its head. "Some have tried to introduce the principle of a rupture, a distancing, a radical break between the liturgical reform proposed, established and promulgated by Pope Paul VI and the traditional liturgy." In 1969, Pope Paul VI insisted that the New Rite of Mass was a "liturgical innovation...a change in a venerable tradition that has gone on for centuries. "No longer Latin, but the spoken language will be the principal language of the Mass. "We are parting with the speech of the Christian centuries; we are becoming like profane intruders in the literary preserve of sacred utterance. "We will lose a great part of that stupendous and incomparable artistic and spiritual thing, the Gregorian chant." "...which has largely and profoundly served to clarify in detail the respective positions of the Society of St. Pius X and those of the experts of the Congregation for the Doctrine of the Faith"
Well, what I read into this is that the talks were to clarify issues between the FSSPX and a body of the church (better: theologians of this one vs. theologians of the other one), rather than FSSPX vs Church. I liked it. Back in the time Mgr. Lefebvre was required to be (more) in unity with - what Rome called - the "Conciliar Church" (to which he obviously couldn't respond with a "ÿes"). There is some change! This Mgr Pozzo said some very nice things (i.e. what Knight of Malta quoted). Also: The best thing of the "doctrinal talks" is that Rome finally(!) admitted that there are things in Vat.II that can be debated and discussed. Hence, Vat.II isn't a Super Council anymore with nothing but Super Dogma's. Let's keep praying! In the end, Her Immaculate Heart will triumph! All of a sudden it seems like every other Rorate commenter is terrified of a "hybrid Mass" being foisted upon the faithful when we only have the faintest idea that something along those lines MIGHT be what THIS (80-something-year-old) Pope wants. The fact of the matter is that Benedict certainly won't live long enough even to get such a project started, and we have no idea what the next Pope will think about the matter, or the Pope after him, or the Pope after him, etc. Clearly the Vatican has learned the lessons of days gone by, and isn't going to make any reforms quickly. Benedict's been Pope for 6 years and still hasn't initiated a single legislative reform to the N.O. It took the Holy See a stinking decade just to TRANSLATE the current Missal into English again. I'm going to bet that most of you middle-aged folks wailing about the impending doom of the hybrid Missal will be dead before it ever comes, IF it ever arrives at all. On the present occasion, your "no" presumptuously and inaccurately dismisses the view of those, myself included, who think that Mr. Haley's three-word formula hits the Hegelian nail squarely on its head. Good. I can only hope that it dismissed that particular view contemptuously as well. The Novus ordo, for all its flaws, is not the negation ("antithesis") of the traditional Mass. The Hegelian dialectic is more properly applied to those who seek a synthesis between those who uphold a dogma and those who deny it. To see everything the Holy See does and says through a Hegelian dialectic of thesis-antithesis-synthesis says more about the person who sees such than it does about the Holy See. I'm familiar with the traditional Mass. But what's this "extraordinay form" stuff? I don't get it. Good. I can only hope that it dismissed that particular view contemptuously as well (what a juvenile response!). The Novus ordo, for all its flaws, is not the negation ("antithesis") of the traditional Mass. The Hegelian dialectic is more properly applied to those who seek a synthesis between those who uphold a dogma and those who deny it. To see everything the Holy See does and says through a Hegelian dialectic of thesis-antithesis-synthesis says more about the person who sees such than it does about the Holy See. Would you mind offering your credentials to make such an accusation against me? If I see the Hegelian dialectic at work in some areas of the post Vatican II teaching, and you do not, that is one thing. But for you to insinuate that I have some sort of evil intent towards the Holy See is quite another. Frankly, I'm surprised the moderators of this forum have allowed such ad hominem attacks by you against me. FYI, the Hegelian dialectic applies to theses and their opposites and not to dogmas which are unassailable. Read the words: Thesis-Antithesis-Synthesis again and you will see no mention of absolutes or dogmas. But, of course, the modernists will assert that their theses are dogmas which, of course, even the popes of the council and Pope Benedict XVI have denied. Ah! You're referring to the Holy Father, then? At least you've made your position clear. But for you to insinuate that I have some sort of evil intent towards the Holy See is quite another. I don't believe I did insinuate that. What I insinuated is that you (and others who share your view on this point) are rash to see things from the Holy See in terms of a Hegelian dialectic. It doesn't follow that you have evil intent. On the other hand, by imposing the Hegelian dialectic upon Msgr. Pozzo's words, you have implied that he and his superiors have evil intentions with respect to the Mass and indeed the entire Catholic Faith. And that is why, in addition to the below, I have contempt for your opinion of Msgr. Pozzo's view. Frankly, I'm surprised the moderators of this forum have allowed such ad hominem attacks by you against me. I'm attacking an idea, not a person. In order to show that the Hegelian dialectic applies here, one must show that the Novus ordo is the antithesis of the traditional Mass. It is not enough to simply assert that it is. Read the words: Thesis-Antithesis-Synthesis again and you will see no mention of absolutes or dogmas. Of course not, I was giving an example. Here's how you might proceed: The TLM teaches that the Mass is a sacrifice (thesis). The NOM teaches that it is not a sacrifice (antithesis). These propositions will be synthesized in a new rite of Mass combining elements of both the TLM and the NOM. Now all you need do is show it. It is not enough to simply say it. "During the Indult Mass days (and even today), many Traditional Catholics were petrified to espouse that which Monsignor Pozzo stated above." This is what I keep saying. I don't know if some are getting flabby or if it's the 'conservatives' jumping on the SP bandwagon, or what. Even in the Indult days I could assume most in our community were generally traditionalists, now who knows. The language of 'preference' and 'mutual enrichment' seem to have taken hold on a lot of 'extraordinary form' (I hate that term) sites...I see comments here that would've been rare and bizarre ten years ago. Used to be the reform-of-the-reformers had their churches, and we had ours. Now it's a big glop of who knows what. Obviously, they can attend wherever they want, but maintaining their conservative NO views, and we're seeing its effects. This isn't just about Gregorian chant and altar boys and incense. I'm increasingly bummed out watching us get EWTNized. God bless Mgr. Pozzo, seems to be a good priest, but he doesn't seem to 'get' us. Yeah, so I'm a troll, evil person, whatever, I don't care. I may well be of the minority view in SP circles these days. Big deal. You responded to my suggestion that the NOM was not in accord with the wishes of VII. You are quite correct in that there is a serious disconnect between the fact that Paul VI and JPII had no problem at all with the NOM and the fact that if you read Sacrosanctum Concilium and look at the NOM, the one is simply self-evidently not the expression of the other. I suppose that I w=have to restate my contention as follows: the NOM was not at all what VII requested, though it was accepted and promoted by 2 subsequent popes. Still, the promotion of the NOM by 2 popes does not in an of itself make the NOM express the wishes of the Council Fathers, but it does tell us a GREAT deal about the wishes and/or priorities of the 2 popes. And here you can see the great disconnect between Benedict XVI and JPII: BXVI wishes to have the Mass of the Council, whereas Paul VI and JPII wanted the Mass of their advisors. When all is said and done, I am sure we will have 2 rites, very very similar to each other, both with Canons and Prefaces in Latin, both ad orientem, one (TLM) with readings in Latin; the other (NOM) with readings in the vernacular. The NOM will remain with Eucharistic Prayer I only. Eventually, many diocesan priests will opt (this will be the level of their 'creativity') to celebrate the NOM on weekdays and the TLM during the week. In addition, the Traditional Anglican Mass will further erode the NOM, so that the NOM vernacular expressions will become enriched. Finally, the "hybrid" form will be nothing more than a translation of the TLM. And all the while, the TLM will continue to be celebrated. Hoping that this gets published I would like to say the following regarding the Hegelian dialectic which seems to be a point of conflict between dcs and myself. The Hegelian dialectic (thesis-antithesis-synthesis) is not evil in and of itself anymore than trying to bring warring sides together in a spirit of compromise is evil. But in such situations it is bringing together, in a synthesis or compromise, if you will, non-absolutes, theories or modes of behavior/thought. However, when applied to the Liturgy which does contain absolutes in the Mysteries that it signifies, it is fraught with danger. I do not maintain that those responsible for the novus ordo sat down and plotted consciously to employ the dialectic to cause evil and chaos in the Church. I'm saying that it could be the reason why they did what they did, albeit unconsciously and with no motive aforethought. When applied to politics, the dialectic can be good or bad depending on the outcome. For example, the synthesis which produced communism turned into a very great evil, the effects of which we are still experiencing in this day and age. So, one could say that the dialectic can result in good or evil depending on how it is applied. Turning to the Liturgy once again we cannot say that all those who were responsible for the novus ordo were evil men. We cannot read into their minds, see their intentions or judge their motives. There is One who can do that and we shudder to think that we, ourselves, are to be one day judged by that One. But, what we can do is judge the reform by what it has produced and in that limited area of statistical results, we see a devastated vineyard with only about 30% of Catholics believing in the True Presence and a lesser percentage even attending to their Mass obligation. I hope that this serves to clarify what my position is on the Hegelian dialectic which can be either a force for good or evil depending on how it is applied. It is certainly no magical formula; but neither is it automatically evil or a disaster when applied judiciously to those areas of human endeavor which can benefit from its use.